Drop Spindle, Wheel, Niddy Noddy, Stylus, Skeiner, Navajo Ply, Z-twist, Whirl... This is just a little sampling of a spinners language. Spinning is both relaxing and rewarding and we'd love to help you get started, or help you learn something new in this wonderful world of Spinning. We offer private & small group classes on both drop spindles and wheels. We are happy to carry Majacraft spinning wheels and accessories. After extensive research we've found them to the be well made, no oil can required and beautiful! Majacraft makes innovative spinning wheels, looms and fiber tools. They aim to build tools that are easy for beginners to use and place no limitations on the creativity of skillful spinners and fiber artists. Majacraft is a small, family owned company based in the North Island of New Zealand. Our Little Gem is a folding wheel designed for using while travelling. It is especially useful for those who need to transport their spinning wheel but has the capability and smoothness to cater for all types of spinning. The Little Gem comes with three bobbins and a custom made shoulder bag in Majacraft green. We also include a travelling kate so plying is a breeze while you are out and about. 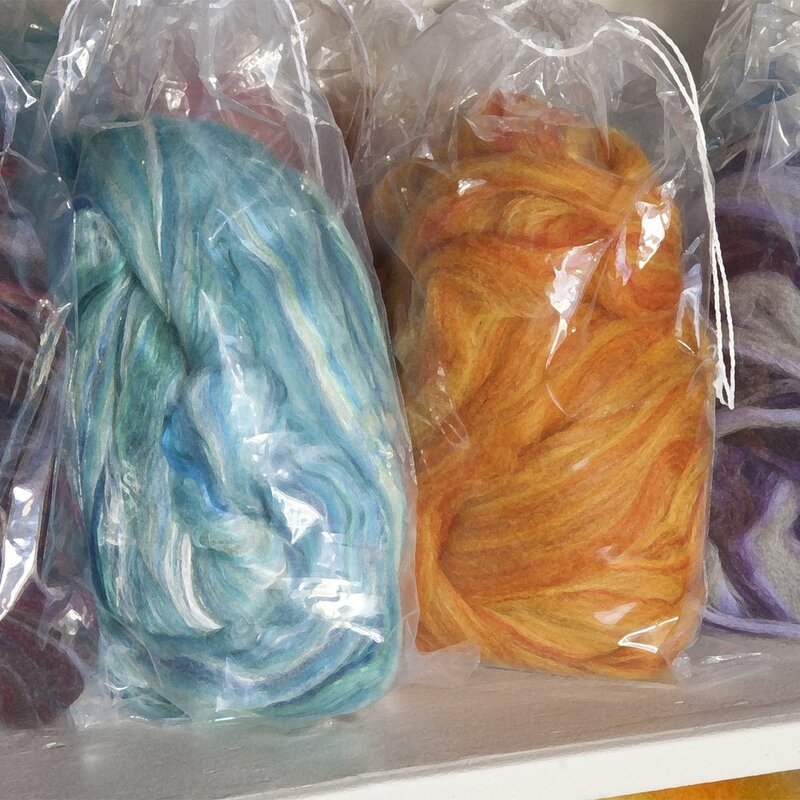 Three Sheep carries many different fibers, both hand dyed and natural, from small farms and indie dyers. 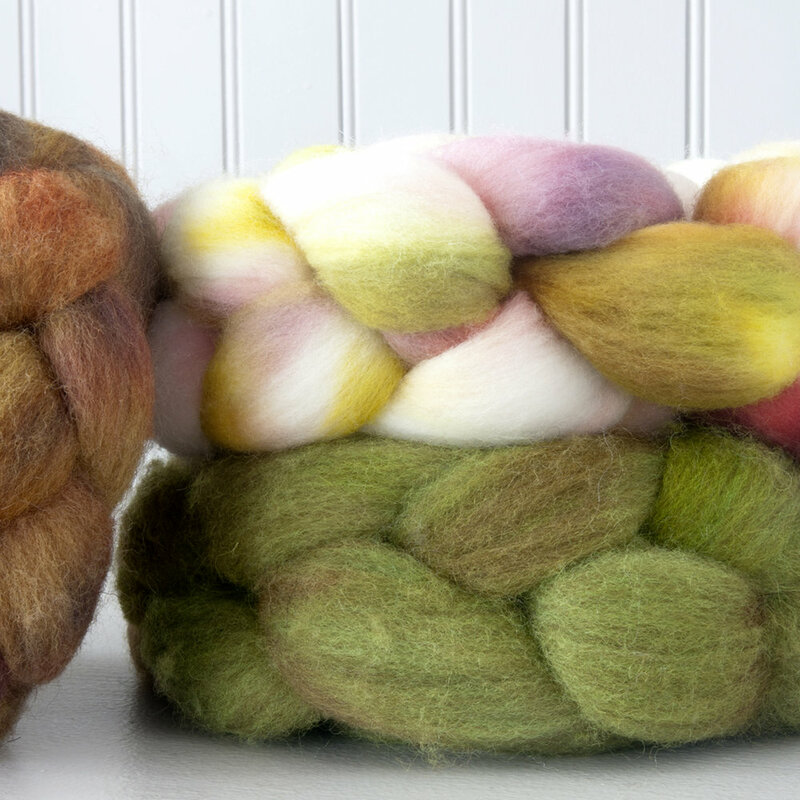 If you're experienced or just learning how to spin, you're going to love the variety, the colors, the breeds... you're going to love it all!